As reactions continue to trail President Muhammadu Buhari’s recent appointments, majority of which seem to favour a section of the country above others, the Arewa Youths Consultative Forum, AYCF, has expressed concern over the development. 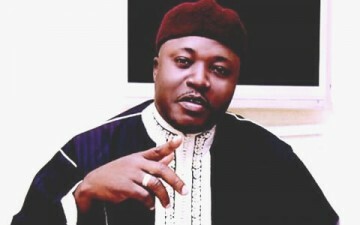 President of AYCF, Alhaji Yerima Shettima, who voiced concern over the appointments, said while it might not be the intention of government to make most of its political appointments from a particular section of the country, the fact remains that the appointments are lopsided and do not reflect federal character. Shettima said: “It is unfortunate the way the situation is, because one becomes worried. We must be seen to be nationalistic than being sectionalised. I am beginning to feel uncomfortable because the complaint is that the appointments are seen to be lopsided. I also do not think that is the intention of the government. However, no matter how we pretend, the reality is that things are not done in the right way”. He, however, said “the government should be seen to be more nationalistic than sectionalised. If we truly believe in true federalism and federal character, it should go round. We cannot say that a particular area has the best brains in the country. I think the government should look into that area thoroughly in as much as the President has good intentions”.